Chicago Public Schools on Monday laid off 62 employees, 17 of them teachers. But as the school district prepares to save even more money through budget cuts, there's word from the Chicago Teachers Union that a strike could happen earlier than expected. In addition to the 62 staff cuts being made today, the district already announced earlier this month that it would have to immediately eliminate the much-contested 7-percent pension pickup benefit for teachers. CPS has said that would save the district $65 million this year alone, as it continues to bridge a $480 million budget shortfall. When that goes into effect in early March, teachers would receive their first paycheck with a 7-percent reduction on April 1. 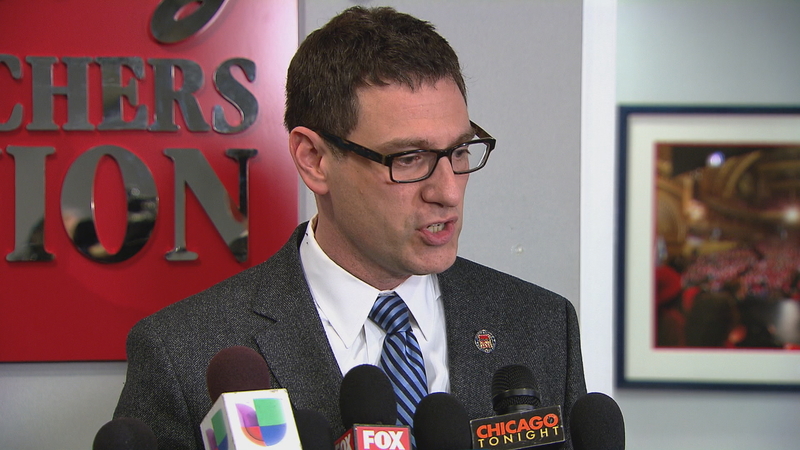 CTU vice president Jesse Sharkey says if that happens, members will be prepared to explore an unfair labor practices strike a month and a half earlier than the current mid-May time frame. Sharkey called today’s layoffs a travesty and says because the district once threatened much more extensive layoffs, so he's calling Chicken Little. But both he and CPS CEO Forrest Claypool praise principals for their creativity in blunting the force of today's layoffs. Many that I've spoken with this month say they've been able to avoid any staff cuts, because they saw this coming at the beginning of the school year and began saving money and holding positions open. The federal grant funds he's referring to are the Title I and Title II dollars that the district has shifted to to schools with the highest low-income populations. Because of that, schools are feeling about $26 million of an actual $85 million budget cut. Claypool argues these cuts are happening because the state's education funding formula is still unequal, and because Springrfield still hasn't acted to fix it. The district also says the union cannot legally strike until mid-May. “CPS and CTU leadership reached an agreement on a contract after months of hard negotiations, and that tentative agreement would have phased out the pension pickup and provided an average raise of 13.5 percent in the meantime. Our preference is to reach a fair agreement that is in the best interest of our teachers, our students and our city. Click here to see a list of the positions that were laid off today at CPS. Feb. 22: "The crux of the issue is that Illinois' funding of public education is broken," the former U.S. Education Secretary said on "Chicago Tonight." Watch the full interview and get highlights from the discussion. Feb. 22: Gov. Bruce Rauner makes another move to take over Chicago Public Schools. This one, he says, could happen without legislative approval. Feb. 9: Today, Chicago Public Schools principals are learning just how deep their budgets will be cut after last week's announcement that the district was slashing more than $100 million from annual school budgets.